The Ph.D. thesis of James Matta has been selected for publication as a book by the well-known science publisher Springer under the “Springer Theses” series. Described as the “best of the best”, the series recognizes “Outstanding Ph. D. Research”. Each thesis is chosen for its scientific excellence and impact on research. For greater accessibility to non-specialists, the published versions include an extended introduction, as well as a foreword by the student’s supervisor explaining the special relevance of the work for the field. 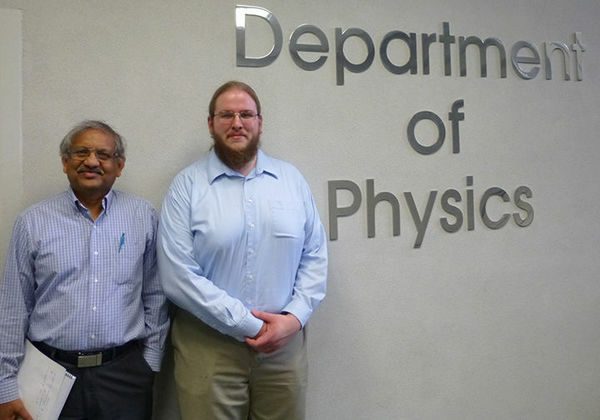 Matta’s dissertation, titled “Exotic Nuclear Excitations: The Transverse Wobbling Mode IN 135Pr” was completed under the supervision of Prof. Umesh Garg. Originally published by Shelly Goethals at physics.nd.edu on May 16, 2016.